This month's Japan Times article is about bamboo shoots (takenoko in Japanese, written either as 竹の子 ('child of bamboo') or 筍). Vacuum packed or canned bamboo shoots are available year round these days (and it's the only way many of us can eat bamboo shoots at all), but fresh bamboo shoots taste better and have a much better texture. If you have a chance to get a hold of one, I hope you give one a try! 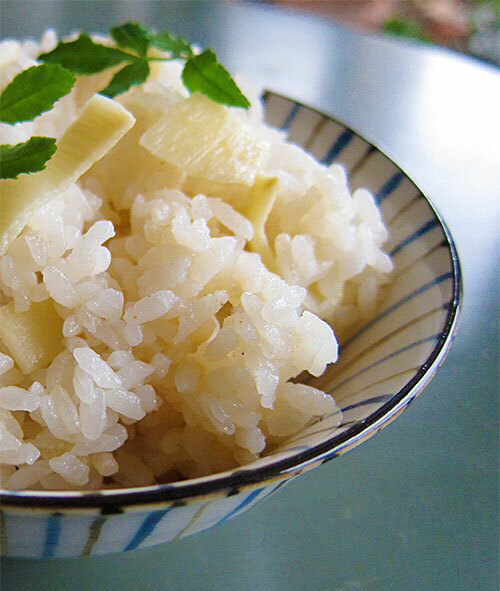 There's also a recipe for takenoko gohan, bamboo shoots with rice. The usual way is to cook them with finely chopped upr aburaage (thin deep fried tofu), but you may want to try the bacon variation I have written down too. The salty-fattiness of the bacon goes very well with the crunchy texture of the bamboo shoot. 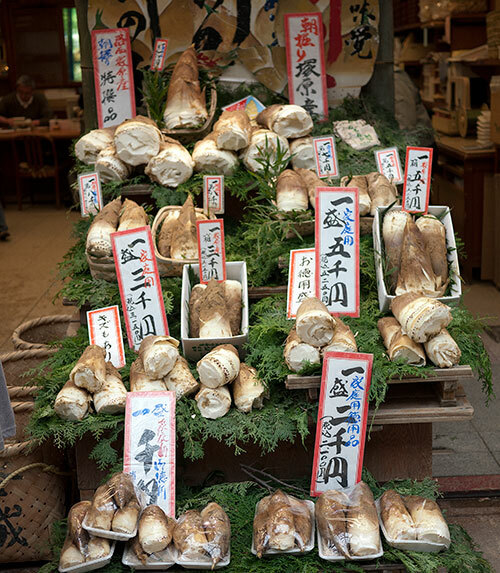 This is a display of premium bamboo shoots on sale at a store in Kyoto. They were impressively big. Digging out such big bamboo shoots is awfully hard work, but with bamboo shoots, the bigger ones tend to be more tender-crisp rather than fibrous. As I said, digging those beasts out is very hard work indeed. 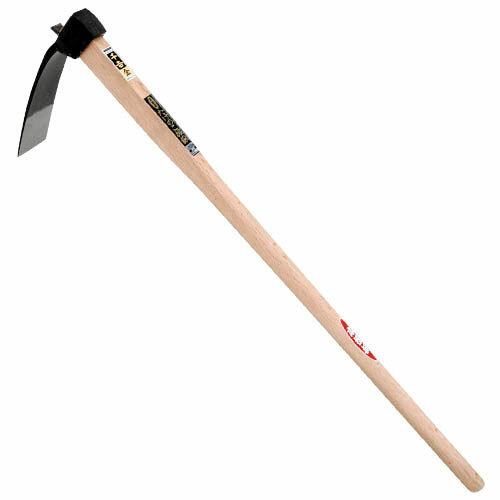 (You can't just go into the mountains on your own by the way -- you can only dig with permission.) Us kids were not allowed to touch the digger since it was too dangerous, so we were relagated to digging around the shoot and pulling it out. Were the fresh bamboo shoots worth it? Well...not for an 11 year old. But I guess I might think differently about it now...although my lower back may have strong objections. 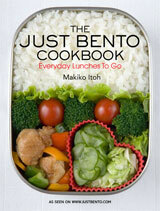 Springtime for bamboo - Japan Times. Submitted by maki on 2014-04-18 15:55. In North Eastern India, and presumably in Myanmar and parts of SE Asia, meats are sometimes cooked in fermented bamboo shoot. Those shoots really look impressive. Do you know if you can eat bamboo if you have some in your garden? I have been eating young leaves of hosta's the last few weeks. I have so much in my garden, and I don't really like them as plants. I blanche them, and eat them with a sauce of miso and mustard. It tastes a little bit like asparagus, a bit in the middle of green and white ones, but ofcourse with a very differend texture. Do you know what else I could do with them?